So many small businesses have yet to file their taxes (ahem…) and when you own a small business, it’s important to know what you do and don’t qualify for. Sure, you can deduct your miles, and portions of your home, and your computer, etc. But what about all the other things that you didn’t even know about? What if there are some deductions you can be benefiting from, and haven’t yet? I say, if there’s a piece of pie left on that plate then by golly, I’m eating it! (gluten-free, of course), and the same goes for your business. If there are tax deductions you can benefit from, you should find out what those are, and how you can take advantage of them. 1. Auto Maintenance and Mileage: There are two ways to calculate vehicle deductions: actual expenses (gas, maintenance, etc. ), and standard mileage. Use the method that will be most beneficial for you. 2. Utilities: Everything you have to keep your office going is 100% deductible; power, trash, telephone, water, etc. If your phone is used for personal calls as well, deduct only the business calls. 4. 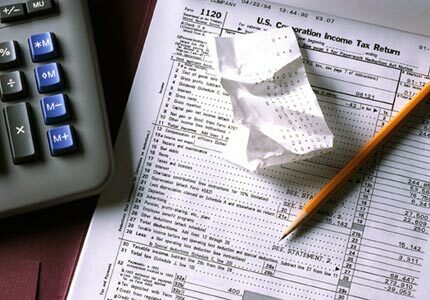 Profit-Sharing or Pension Plans: Deduct contributions you made to your employee’s SEP, SIMPLE, or other qualified plans. 5. Advertising and Marketing: business cards, ads, anything related to your business. 6. Home Office: to calculate how much of the home-related expenses are tax deductible, measure your work area and divide by the square footage of your home. The percentage you end up with is the fraction of rent, mortgage, insurance, electricity, etc. that you can claim. Claiming your entire room will get you into trouble. Take the time, and calculate precisely. 7. Employee Benefits: Health plans, educational assistance, life insurance for your employees and even adoption assistance are generally tax deductible. 10. Depreciation: If you buy property to use in your business, you generally can’t deduct the entire cost in the ear of purchase, but you can spread the cost over more than one tax year and deduct part of it each year. 11. Professional Fees: Accountants, lawyers, and any professional consulting fees. 14. Entertaining: Prospective or current client’s meal and drinks are 50% deductible, but it has to be within a business setting or take place before or after a meeting. 15. Office Equipment: save those receipts! Take it all in one year, or depreciate it. 16. Bad Debts: Deductible only if the amount owed to you was previously included in gross income. 17. Furniture: either deduct in whole in one year, or depreciate it over several years. 18. Service Fees: Credit Card processing fees are 100% deductible. 19. Charitable contributions: If you contribute $250.00 or more and claim the deduction you need to have a letter from the organization which verifies your donation. 20. Startup Expenses: You can choose to deduct up to $5000 of startup costs, which include any research costs incurred for creating your business. 22. Theft and Loss: Only if it was unavoidable. 25. Insurance Premiums: Credit, liability, malpractice, and worker’s compensation insurance are all deductible. 26. Interest: Mortgage, Finance, and payment plans, or even interest paid on other loans are all 100% deductible. 30. Rent: You can deduct rent if the rent is for property you use for business. You cannot, however, deduct if you have even partial equity) or receive equity) in the property.